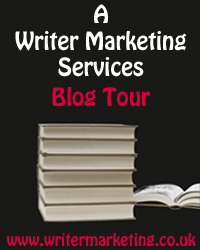 I’m delighted to be able to welcome Jennifer Young to my site today, as part of her blog tour for her new release, Looking For Charlotte. They say there are only seven basic plots. I have a book about that, in fact, but as it’s almost 700 pages long and I’m time-poor I haven’t yet got round to reading it. But everyone who has (well done, by the way) tells me that it’s true and there’s nothing original in this world. I didn’t deliberately set out to pick one of those seven, though I have done in the past. As it happens, though, my latest book, Looking For Charlotte, fits more closely to an obvious plot device than anything I’ve ever attempted, even the variations-on-a-theme-by-Shakespeare trilogy that I’m working on (the theme is Romeo and Juliet, since you ask). The clue is in the name. 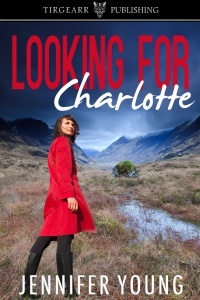 Looking For Charlotte is a journey or, as it’s referred to in the book, a quest. ‘Quest’ is a wonderful, evocative word, old-fashioned to the point of medieval, bringing to mind knights on noble steeds undertaking challenges set for them by mistresses or magicians, with the ultimate objective (in which they pretty much always succeed) of winning the hand of a fair lady. The quest which my very modern heroine, Flora, undertakes isn’t one laid on her by a wicked witch, or even something she has to do to save her relationship, win promotion or achieve fame (all of which are perfectly worthy objectives). It’s much deeper than that, and it’s also entirely self-imposed. When Flora sees on the news the story of a toddler abducted and almost certainly murdered by her father (who then killed himself) her reaction is to take up the search for the child where the police have given up. No-one makes her do it. No-one forces her to go out looking for a lonely grave, puts the spade in the boot of the car and hands her the key, points a dramatic finger and says to her: ‘Go’. So why does she go? It’s partly to absolve her own guilt at mistakes she’s made in the past. It’s partly to do good to someone else, a stranger. Personally she has nothing not gain from it but yet she goes, undertaking a journey which is both physical and emotional. And when it ends, on a moor in the wild north-east of Scotland on a wild-weather day to the accompaniment of birdsong, the story ends. They parted just beyond the bridge across the Ness, Grace heading up the pedestrian streets and Flora cutting across to the library, fronted by the long line of cars full of Saturday shoppers manoeuvering towards the car parks. She wasn’t a regular library user, but once the idea had taken her she remembered that there was something she wanted to check. In the reference section, she stood for a moment before selecting the Ordnance Survey map that covered the area south of Ullapool. She knew it quite well. When the children were young they’d gone walking there regularly, able to reach the open spaces without pushing the slowest (usually Amelia, though Beth was the youngest) too hard. They’d graduated to more difficult walks, then stopped walking altogether. Eventually she had developed a fondness for the slightly less bleak terrain to the south of Inverness, where she went occasionally with Philip and his brother, or with a colleague from work. She hadn’t been out all year, not since before Christmas, in fact, and even then they’d been rained off not very far in and driven back to the comfort of a tea shop in Grantown-on-Spey. A nostalgic yearning for a good long walk swept over her as she unfolded the map and smoothed it out across one of the desks. She and Danny used to look at maps together plotting their routes. His stubby forefinger, with its bitten nails, had traced the most challenging route to start, sliding along the steep and craggy ridges until he remembered the children and reluctantly redrew, shorter, safer. She thought she knew the place where Alastair Anderson had left his car, and found it easily enough. Under her fingers the map was a flat web of never-parallel lines, of ugly pock-marking that told of steep, loose rocks and inhospitable terrain, just the type of place they used to walk. Somewhere up here, Charlotte Anderson was buried. Carried there, already dead? Or walked there and then killed? Surely neither was realistic; surely they would have found her, with their dogs and their mountain rescue helicopters scouring the ground for new scars, and all the rest of the equipment they had at their disposal. Looking at the map had been a mistake. It was obvious now. Besides, she couldn’t see it any more; all she could see was the image of Suzanne Beauchamp, that beautiful face with the cold façade, like a wax death mask from Madame Tussauds. More poignant, of course, since it must hide a struggle, a struggle to conceal or to suppress a deadly mixture of grief and guilt. Divorced and lonely, Flora Wilson is distraught when she hears news of the death of little Charlotte Anderson. Charlotte’s father killed her and then himself, and although he left a letter with clues to her grave, his two-year-old daughter still hasn’t been found. Convinced that she failed her own children, now grown up and seldom at home, Flora embarks on a quest to find Charlotte’s body to give the child’s mother closure, believing that by doing so she can somehow atone for her own failings. As she hunts in winter through the remote moors of the Scottish Highlands, her obsession comes to challenge the very fabric of her life — her job, her friendship with her colleague Philip Metcalfe, and her relationships with her three children. I live in Edinburgh and I write romance and contemporary women’s fiction. I’ve been writing all my life and my first book was published in February 2014, though I’ve had short stories published before then. The thing that runs through all my writing is an interest in the world around me. I love travel and geography and the locations of my stories is always important to me. And of course I love reading — anything and everything. Many thanks for visiting today Jennifer. Good luck with the rest of the tour!! Don’t forget the giveaway folks! !